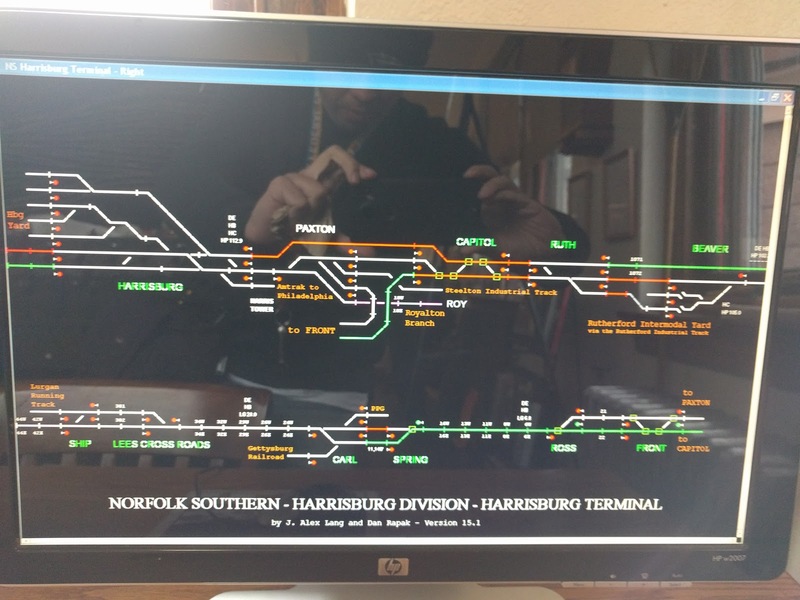 Well the great PRR Main Line re-signaling project has commenced with CP-HARRIS to CP-CANNON having already been changed and more segments scheduled in the next few weeks. I was making one last trip to document signals on the eastern end of the Middle Division and given what has already taken place I was able to learn a number of very interesting things about the full scope of what NS is doing. First, here are some videos of a westbound NS freight taking a color light Limited Clear signal off the controlled siding at CP-CANNON. This is the new reality of the Pittsburgh Line. At CP-CANNON the old PRR signal bridge has been removed and scrapped, however the one at CP-BANKS was still in place, for now. The old intermediate signals have either been turned or removed. However they have been replaced with Conrail blue "Signal Indication Point" signs, complete with a milepost number. The removal of wayside signals has allowed NS to double the number of blocks by reducing block length from 2 miles to 1 mile. 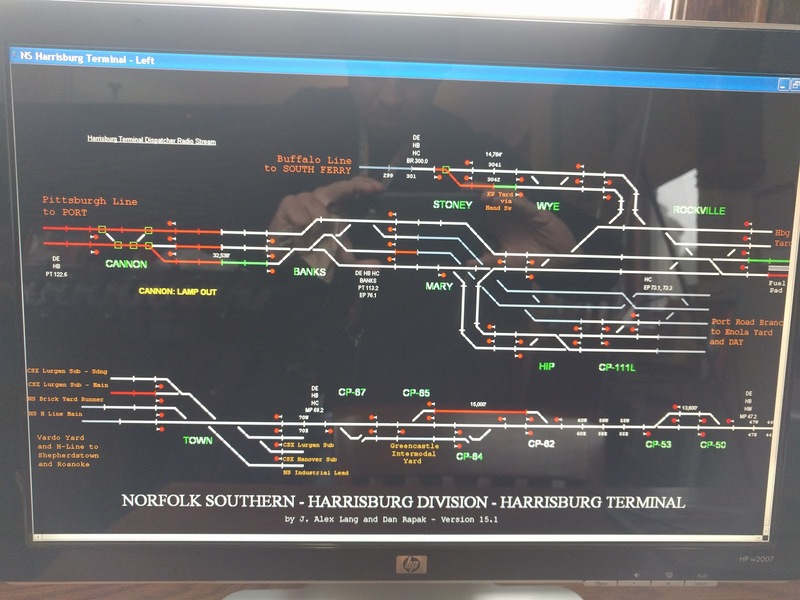 The track sections between both CP-BANKS and CP-CANNON and CP-HARRIS and CP-ROCKVILLE previously had two auto blocks each. Now, as you can see from this ATCS display, they have 4 auto blocks each and each block boundary is marked as an SIP. While out between CP-CANNON and CP-PORT, I noticed some signal men at the MP 124 signal location and whatever they were doing was showing at the MP 126 signal location. As a reminder these signals are approach lit so not only was the track circuit to the east getting intermittently shunted, the block state east of MP 126 was also changing randomly. Finally I made one more important observation. None of the new intermediate SIPs were equipped with those distinctive PTC antenna masts as is seen at pretty much every other intermediate signaling location across the country these days. Well this confirms my suspicion that the PTC box will be able to take the cab signal indication as an input, eliminating the need for a full time data radio link away from interlockings. At least that's one good design feature.